India's massively delayed effort to create a second new generation conventional attack submarine production line in the country has finally lifted off, though several years adrift. With the apex Defence Acquisition Council (DAC) clearing decks for the Rs 53,000 crore Project 75 India (P75I), the Ministry of Defence will spend the next two months compiling a list of public sector and privately owned shipyards in the country capable of absorbing technology and building submarines. 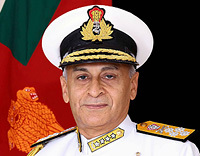 A special committee, headed by the Secretary (Defence Production) and populated by experts from the Indian Navy, including its Controller Warships Production & Acquisition, will interface with the shipyards to see if they make the cut across a plethora of parameters, including technical, financial health, supplier base, manpower base, order book, industrial capacity etc. Top sources indicate to SP's that the shipyards that will be sized up for the mammoth programme include Mumbai's Mazagon Dockyard Ltd (MDL), Hindustan Shipyard Ltd (HSL) in Visakhapatnam, Goa Shipyard Ltd (GSL), Garden Reach Shipbuilders & Engineers (GRSE) in Kolkata, Cochin Shipyard Ltd, Larsen & Toubro (L&T) and Pipavav. The project definition has been through a slew of combinations of where the submarines will be made, with Friday's decision finally deciding that all six submarines will be built in India on the lines of the predecessor P75 Scorpene production line at MDL, Mumbai. Bids will be invited from Indian shipyards to build the six submarines using transferred technology from a foreign partner. The field, as it stands, is wide open. Submarine contenders include France's DCNS Scorpene, Russia's Rubin Amur 1650, the German HDW Type 214, Spain's Navantia S-80 and possibly Sweden's Kockums Archer-class. With the proposed Italian-Russian S1000 platform set to be indefinitely postponed, it doesn't figure. 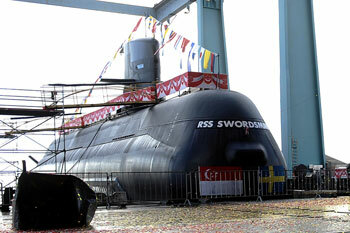 The submarines will need to be equipped land attack missiles and Air Independent Propulsion (AIP). 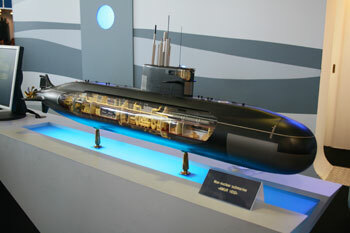 As reported by SP's, Russia's Central Design Bureau for Marine Engineering Rubin has mounted an aggressive campaign for the Amur 1650, which it regards as a priority project for the Russian military industrial complex considering that India has shifted away from Soviet conventional submarines following the Kilo-class. "Amur 1650 is the most effective modern non-nuclear submarine available today. Compared to similar boats in its class, the Amur distinguishes itself by possessing the capability to strike missile salvo attacks from all torpedo tubes against sea and fixed land targets, target detection range increased with respect to other existing sonar means due to availability of unique sonar system and a far lower noise level." 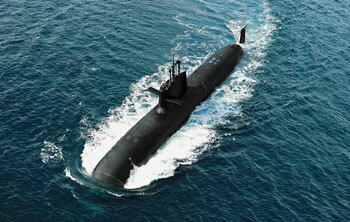 DCNS has also pushed hard for India to choose to build more Scorpene submarines, given a line already exists. 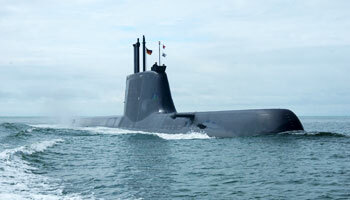 Germany hasn't forgotten its loss to DCNS in India's Project 75, and will be looking to turn the tables in the P75I programme with the Class 209's successor, the Class 214 submarine. According to the company, "It is well equipped to undertake a wide scope of missions ranging from operations in littoral waters to ocean-going patrols. The modular weapon and sensor mix, in combination with the submarine's air-independent features, makes the HDW Class 214 predestined for anti-surface ship and anti-submarine operations, intelligence, surveillance and reconnaissance tasks, special forces operations. 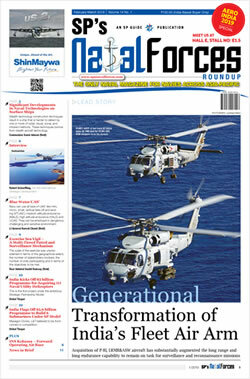 The HDW Class 214 design is characterised by increased underwater endurance and low detection risk using the proven Fuel Cell system for air-independent propulsion, increased diving depth, low revolution, permanently excited PERMASYN motor for maximum speed without transient switching noises, optimised signature management, sonar development within the ISUS 90 for increased low-frequency detection ranges (flank array), large weapon payload for a mix of torpedoes, missiles and mines, integration of Torpedo Countermeasures (TCM) system. Thanks to its modular design and high degree of automation, this submarine is a very cost-effective weapon system, extremely difficult to detect and thus the unbeatable solution for future-orientated navies." Spain's Navantia S-80 could be a dark horse contender. 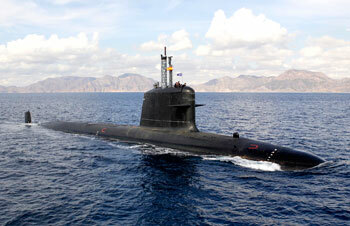 With its severe weight issues reportedly sorted out and the construction of boats for the Spanish Navy finally on track.